eCall Solution in a glance... Gradient eCall InBand Router is designed to upgrade PSAPs with a minimum effort and investment. As an add-on to existing PBX and PSAP software applications, it uses unified JSON/XML interfaces to communicate with the PSAP software. As a plug and play solution, Gradient Technologies offers InBand solution for reliable reception of MSD for eCall in line with EN 15722:2015 and 3GPP TS 26.267 version 14.0.0 Release 14 Data Transfer for new or existing Emergency Call Centers. We provide server software solution for the eCall / rCall / 112 / E911 MSD reception and call routing. Solution Includes a 3GPP/ETSO compatible eCall In- Band Decoding Server (InBand Router) and optional PSAP server, ACD with Agent Desktop Application. In addition, we also provide an In-band PSAP server hardware appliance. Please browse the Products and Services page to learn more about our PSAP SERVER with 3GPP In-band. Stay up to date with the latest news on our website and find out about all our current special offers. Are you Looking for the most cost effective 112 eCall InBand Solution? • Virtual Machine Compatible - Software based eCall InBand Router (VoIP/SIP/H323) • Hardware based Appliance Solution (E1/ISDN)! • Upgrading PSAP to support 112 eCall? POC testing? • 112 eCall IVS Simulator for Testing? “We provide server software for the eCall in-band modem (eCall Router / Inband Router)for the reliable transmission of MSD from an In-Vehicle System (IVS) to the Public Safety Answering Point (PSAP) via the voice channel of cellular and PSTN networks” Are you looking for integrating MSD to your enterprise software system? Our newly added Cloud based eCall In-Band MSD Data receiver which can be integrated to your business in minutes. This helps your pilot testing so easy. Please contact us for an on-line demo! The eCall Router / InBand Router : Hosted Solution is Available in Europe for quick pilot testing! 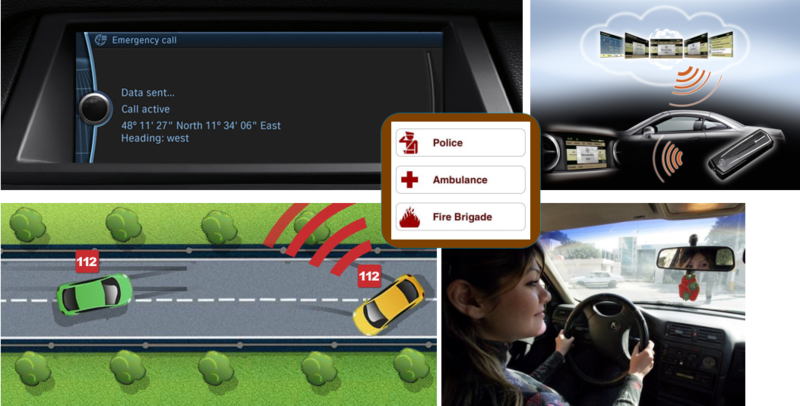 ecall router inband router 3call psap server ecall server ecall 3gpp ivs psap modem msd voip t1 e1 trunk cell gradient technologies psap modem psap server psap server 3gpp modem ivs modem ivs server rcall icall 411 911 emergency road side assistance crash connected cars on star 3GPP TS 26.267 gradient software gradientsoft hamsa ibrahim EN 15722 EN 16062 EN 16072 EN 16102 Conformance Testing FCEN TS 16454 2013 e911 telematics acd agent desktop; 3GPP TS 26.267 EN 16454 EN 15722 EN 16062 EN 16072 EN 16102 ecall test bed ecall drive testing ecall conformance test In-Vehicle Emergency Call ecall software solutions pan eurpean ecall software. ecall performance ertico conformance test eritco test bed ERTICO Testfest ecall test fest eCall end to end conformance testing ecall drive testing ecall road testing ecall oem device ecall aftermarket device ecall test device ecall gps ecall gsm ecall lte CEN HERO PILOT ecall service providers ecall software providers psap upgrading ecall emergency calls ecall system in japan korea middle east europe america africa australia china eCall Test System south east asia ecall global econ test server gradient ecall server gradient inband server ecall gsm lte 2g 3g psap simulator. psap software ecall gis psap ecall development server Albania Andorra Armenia Austria Azerbaijan Belarus Belgium Bosnia & Herzegovina Bulgaria Croatia Cyprus Czech Republic Denmark Estonia Finland France Georgia Germany Greece Hungary Iceland Ireland Italy Kosovo Latvia Liechtenstein Lithuania Luxembourg Macedonia Malta Moldova Monaco Montenegro The Netherlands Norway Poland Portugal Romania Russia San Marino Serbia Slovakia Slovenia Spain. Sweden Switzerland Turkey Ukraine United Kingdom Vatican City (Holy See) australia japan korea south gps ecall direction Mediterranean ecall upgrade ecall equipment ecall reliability ecall 2015 ecall 2017 gnss gps pull mode push mode msd hlck llack 3gpp inband Galileo end to end conformance satellite tower gps gsm lte data modem call voice emergency manual automatic test accident simulate high availability fault tollerent tolerant bmw audio mercedes mercedes audi bmw volkswagen volvo tcu telematics unit on star telematics sos button European Union ACEA ERA-GLONASS gm north america ford chevrolet Acura Alfa Romeo Aston Martin Audi Bentley Motors BMW Buick Cadillac Chevrolet Chrysler Dodge Ferrari Fiat .Ford Geely GM - General Motors GMC Honda Hummer Hyundai Infiniti. Isuzu Jaguar Jeep Kia Laforza Lamborghini Lancia Land Rover Lexus Lincoln Lotus Maserati Mazda Mercedes-Benz Mercury MINI Mitsubishi Nissan Oldsmobile Peugeot PontiacPorsche Renault Rolls-Royce Saab Saturn Scion Subaru Suzuki Tesla Motors Toyota Volkswagen Volvo crash detection early crash detection intelligence. transport system automobile safety break ecall box accelerometer gis crash scene analysis ublox sierra wireless qualcom telit modem nokia regulator compliance oecon CEN, ETSI GOST R PPP 80022 of TUV SUD EU-specification ISDN voip linux ucaris google map ecall router ETSI audio logging crc retransmission errors GmbH upgrad psap minimum effort and investment gradient technologies solution for ecall EU china antenna shield remote psap NL ertico etsi. mandatory and optional tests. ecall flag on gsm ecalls. ETSI CTI, ecall TESTFEST.ecall interoperability test event. critical ambulance police emergency support.